AUD 1,816 Excl. Duties / Taxes. This Pear diamond is 0.93 carat in weight, and comes with Very Good polish and Very Good symmetry, as verified from an independent gemological laboratory. The diamond is graded N in colour, and has a clarity grade of SI2. The diamond's GIA grading report number is 2247922296, which will detail further its specifications and measurements, and will also come with the purchase of the stone. AUD 64,854 Excl. Duties / Taxes. This Pear diamond is 6.39 carat in weight, and comes with Very Good polish and Good symmetry, as verified from an independent gemological laboratory. The diamond is graded N in colour, and has a clarity grade of VS2. The diamond's GIA grading report number is 5182475449, which will detail further its specifications and measurements, and will also come with the purchase of the stone. This Pear diamond is 0.81 carat in weight, and comes with Very Good polish and Very Good symmetry, as verified from an independent gemological laboratory. The diamond is graded N in colour, and has a clarity grade of VS1. 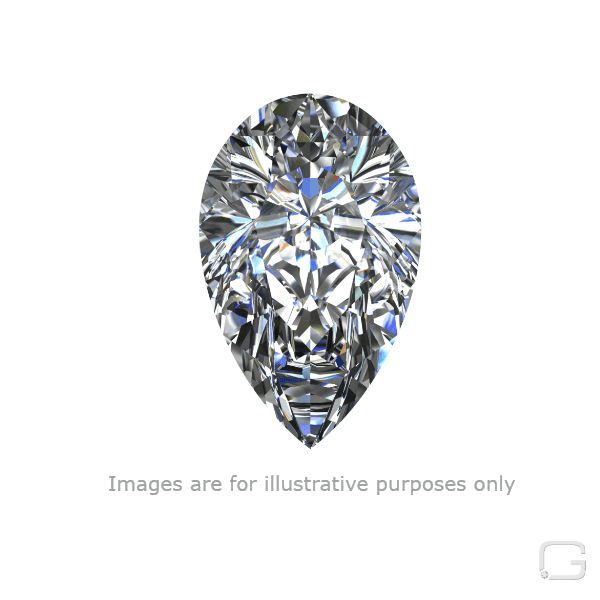 The diamond's GIA grading report number is 6192913987, which will detail further its specifications and measurements, and will also come with the purchase of the stone. This Pear diamond is 1 carat in weight, and comes with Very Good polish and Very Good symmetry, as verified from an independent gemological laboratory. The diamond is graded N in colour, and has a clarity grade of VS1. The diamond's GIA grading report number is 7251432184, which will detail further its specifications and measurements, and will also come with the purchase of the stone. This Pear diamond is 0.56 carat in weight, and comes with Good polish and Good symmetry, as verified from an independent gemological laboratory. The diamond is graded N in colour, and has a clarity grade of VS2. The diamond's IGI grading report number is S4A85099, which will detail further its specifications and measurements, and will also come with the purchase of the stone. This Pear diamond is 0.78 carat in weight, and comes with Excellent polish and Very Good symmetry, as verified from an independent gemological laboratory. The diamond is graded N in colour, and has a clarity grade of VS1. The diamond's GIA grading report number is 1307071155, which will detail further its specifications and measurements, and will also come with the purchase of the stone. This Pear diamond is 4.01 carat in weight, and comes with Excellent polish and Excellent symmetry, as verified from an independent gemological laboratory. The diamond is graded N in colour, and has a clarity grade of VS1. The diamond's GIA grading report number is 5181989529, which will detail further its specifications and measurements, and will also come with the purchase of the stone. This Pear diamond is 1.26 carat in weight, and comes with Excellent polish and Good symmetry, as verified from an independent gemological laboratory. The diamond is graded N in colour, and has a clarity grade of SI1. The diamond's GIA grading report number is 6262831361, which will detail further its specifications and measurements, and will also come with the purchase of the stone. AUD 7,533 Excl. Duties / Taxes. This Pear diamond is 1.72 carat in weight, and comes with Very Good polish and Very Good symmetry, as verified from an independent gemological laboratory. The diamond is graded N in colour, and has a clarity grade of VS1. The diamond's GIA grading report number is 6173737001, which will detail further its specifications and measurements, and will also come with the purchase of the stone. AUD 10,182 Excl. Duties / Taxes. This Pear diamond is 2.01 carat in weight, and comes with Excellent polish and Very Good symmetry, as verified from an independent gemological laboratory. The diamond is graded N in colour, and has a clarity grade of VS1. The diamond's GIA grading report number is 5181922178, which will detail further its specifications and measurements, and will also come with the purchase of the stone. This Pear diamond is 1.12 carat in weight, and comes with Very Good polish and Good symmetry, as verified from an independent gemological laboratory. The diamond is graded N in colour, and has a clarity grade of SI2. The diamond's GIA grading report number is 2165614591, which will detail further its specifications and measurements, and will also come with the purchase of the stone. This Pear diamond is 1.4 carat in weight, and comes with Very Good polish and Good symmetry, as verified from an independent gemological laboratory. The diamond is graded N in colour, and has a clarity grade of VVS1. The diamond's GIA grading report number is 2185184430, which will detail further its specifications and measurements, and will also come with the purchase of the stone. This Pear diamond is 1.14 carat in weight, and comes with Very Good polish and Good symmetry, as verified from an independent gemological laboratory. The diamond is graded N in colour, and has a clarity grade of SI2. The diamond's GIA grading report number is 11629518, which will detail further its specifications and measurements, and will also come with the purchase of the stone. This Pear diamond is 1.53 carat in weight, and comes with Excellent polish and Very Good symmetry, as verified from an independent gemological laboratory. The diamond is graded N in colour, and has a clarity grade of VS2. The diamond's GIA grading report number is 2226274563, which will detail further its specifications and measurements, and will also come with the purchase of the stone. AUD 8,119 Excl. Duties / Taxes. This Pear diamond is 2.5 carat in weight, and comes with Excellent polish and Very Good symmetry, as verified from an independent gemological laboratory. The diamond is graded N in colour, and has a clarity grade of SI2. The diamond's GIA grading report number is 1182986555, which will detail further its specifications and measurements, and will also come with the purchase of the stone. This Pear diamond is 0.64 carat in weight, and comes with Very Good polish and Good symmetry, as verified from an independent gemological laboratory. The diamond is graded N in colour, and has a clarity grade of SI1. The diamond's GIA grading report number is 6225400275, which will detail further its specifications and measurements, and will also come with the purchase of the stone.